William Thomas, CEO of Compassionate Care Foundation, reports that he was able to raise $1.5 million from private investors to fund a dispensary and cultivation center scheduled to open this September in New Jersey’s Egg Harbor Township. However, the funding came at a high cost: an effective 25% interest rate. 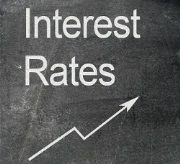 A 25% interest rate will be unsustainable for healthy businesses in the long term, in particular for an industry that must pay unusually high federal taxes due to its inability to take most deductions or seek non-profit tax advantages. To put this rate into perspective, traditional SBA-backed loans for facilities such as doctor’s offices are at historic lows at under 5%. Cannabis dispensaries and professional cultivators will not qualify for these low loans until MMJ is federally legal someday. Average junk bond (which have high yields) are currently at just over 6% rates. In many ways, MMJ is one of the safest industries the Northeast can support, in large part because the jobs created are guaranteed not to go out of state in the foreseeable future, and because market demand is intense. Even at a 25% rate, Thomas was unable to obtain the $15 million in private funding he had initially sought. He’s had to cut back on plans to manufacture lotions and lozenges and only offer smokable marijuana instead. Although the Foundation was was able to rent plenty of room – the grow facility is located in a former Trump casino warehouse – it can only afford to grow 1,500 plants, filling just 20% of the warehouse. Costs include tight security systems and about a dozen guards. Located in Atlantic City County, Egg Harbor Township is routinely threatened during hurricane season. Unfortunately, the Compassionate Care Foundation does not have available funds to cover a back-up generator. The company has applied to New Jersey’s Economic Development Agency for a $650,000 grant to cover this cost, as well as to be able to triple cultivation. There is no word yet on whether the grant will come through. Just wait until they law enforcement starts to mess with you and change the current laws. now u have to pay another $30,000 in laywer fees to figure out how to keep the operation going. when you figure it out they just do it again. when your investors see the risk going up they will call the loan or raise the interest rate to %50 now you are not making money. take if from a California Collective that continues to be shut down. they will chop all your plants and tell you to tell it to the judge.